Stakeholders in the education sector, including the Academic Staff Union of Universities (ASUU), the Academic Staff Union of Polytechnics (ASUP), former Minister of Education, Prof. Chinwe Obaji; Prof. Peter Okebukola and the Vice-Chancellor of the University of Lagos, Prof, Rahamon Bello, yesterday kicked against the suspension of the post-Unified Tertiary Matriculation Examination (UTME), opting for regulation instead of outright cancellation. 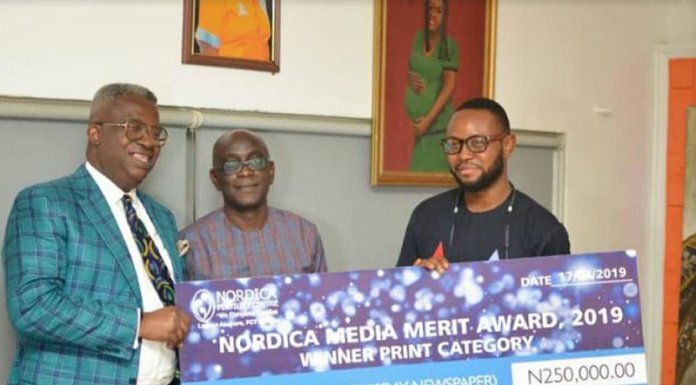 The submission was taken at a summit organised by the Education Writers’ Association of Nigeria (EWAN), a body of journalists from the print, electronic and online platforms, covering the nation’s education sector. With the theme: ‘Integrity of Public Examinations and Admission in Nigeria’, the summit held at the University of Lagos, was chaired by the Secretary of the Association of Vice-Chancellors of Nigerian Universities (AVCNU), Prof. Michael Faborode. Okebukola, who was the keynote speaker at the programme, traced the foundation of the post-UTME to the degeneracy in the quality of admission seekers to higher institutions in the past, and suggested that the most important thing is to restructure the post-UTME rather than scrap it. Similarly, the National President of ASUU, Prof. Biodun Ogunyemi, reiterated the union’s stance that it is the primary responsibility of the Senate of each university to admit and graduate students for the institutions, adding that ASUU would continue to fight against the suspension of the post-UTME and that the fees charged by the institutions should be regulated. In her presentation, Obaji expressed concern that the initiative she introduced then as a response to the loss of integrity in the public examinations, including the Unified Tertiary Matriculation Examination, (UTME) and the West African Senior School Certificate Examination (WAEC) among others, has been rubbished by the institutions while jettisoning the original idea behind the initiative. Meanwhile, the communiqué issued at the end of the summit, stated that the federal government should rescind the decision on the suspension of post-UTME, restructure the entrance examinations by the institutions and called for the implementation of the 2002 national summit on higher education. The summit also appealed to the federal government to re-introduce the Higher School Certificate (HSC) programme as parts of efforts to bring back the integrity of public examinations. They challenged the new Minister of Education, Mallam Adamu Adamu, to consult stakeholders within the system before taking positions on key policies. Meanwhile, ASUP has concluded plans to resume indefinite strike by the expiration of the one month ultimatum it gave to both the federal and state governments if they fail to resolve its 13 point demands that made it to embark on a nine-month strike between October 2013 and July 2014. The union whose one-month ultimatum expires by August 21, 2016, wants the relevant authorities to remedy the rots afflicting the polytechnic/monotechnic sector, warning that failure to comply with this would compel it to return to trenches. Addressing journalists in Owerri shortly after its emergency zonal meeting, the Zone D Coordinator of the union which comprises polytechnics, Colleges of Technology and monotechnics in the South-south and South-east, Chika Ogonwa, of the Delta State Polytechnic Ugwuashi-Ukwu listed the issues in dispute as contained in the letter of ultimatum already issued to both the federal and state governments. According to him, the items include the non implementation of the NEEDS Assessment report of 2014, non-payment of salaries in many state-owned institutions, shortfall in personnel allocations to polytechnics as well as unpaid allowances in federal polytechnics since January 2016, victimisation of union officials, non release of check off dues and interference in union activities. Others according to him are: non-release of arrears in many public polytechnics with some dating back to 2012 as well as non-implementation of CONTISS 15 migration salary scale in many polytechnics, delay in the review of the polytechnic act in addition to non release of visitation panel reports of federal polytechnics since 2011. Ogonwa disclosed that while some members of the union are owned salaries ranging from 2 to 10 months, some polytechnics have earned an unwholesome reputation for breaching the boundaries of autonomy of the union even as some officials of the union are being suspended, sacked and hounded by some heads of these Institutions. The ASUP boss therefore called on all well meaning Nigerians to prevail on the government at both the federal and state levels to comprehensively address these challenges for the betterment of the rising and future generations. He warned that the union might have no option than to mobilise its members to embark on an industrial strike at the expiration of August 2016. Ogonwa also stated that ASUP was equally worried by the refusal by government to implement the agreement it entered with the union after nine months strike which ASUP embarked between the year 2013 and 2014. He said ASUP might be forced to resume another strike at the expiration of one month notice given to government on August 22, if government fails to look into the issues raised by the union. According to him, “the issues in dispute include: non implementation of the NEEDS Assessment report of 2014, the conduct of needs assessment survey for public polytechnics and monotechnics and the review of Polytechnics Acts.